Last week we had the honor and the privilege of being invited to the Grand Del Mar, San Diego for the ultimate Wedding Experience! We shared this experience with about 50 esteemed wedding professionals in the industry and boy, were we all spoiled! It was a clear indication of how the next 2 days were going to be when they checked us into our rooms and set up spa treatments for everyone where we could relax for the entire day followed by an amazing 4 course meal at Capella, the private Italian style chapel on the property. Dinner was so much fun! Wayne Foster was our entertainment with a 12 piece band performing everything from Ray Charles and Jason Mraz to Black Eyed Peas and Lady Gaga! Dinner setting-We all got tiaras! The amazing Wayne Foster Entertainment! The stunning Rancho La Jolla property we were taken to for a delectable afternoon. What a gorgeous day! Cooking demonstrations from various chefs in the San Diego area-delicious!! Paige Levy, our amazing hostess at the Grand Del Mar! The Grand Del Mar is one of the most stunningly beautiful properties I have ever been to. No detail has been spared at this resort and the service was incredible. 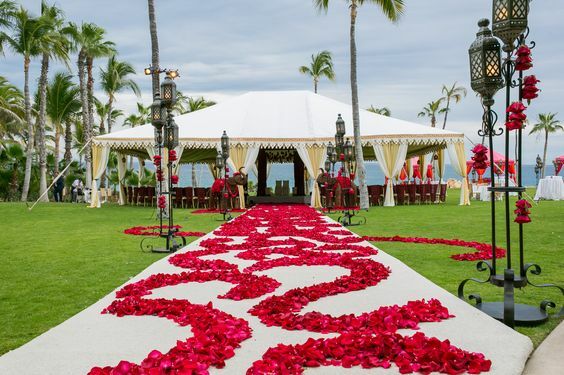 There are also so many amazing spots on the property to have a wedding ceremony and reception. We cannot wait to do a wedding here and look forward to going back soon! A very special thank you to Paige Levy and Charles Stuart for putting together such a fantastic few days. We all were truly treated like royalty! This was an invitation only dinner party that we did at a private residence where the former President of Pakistan, Pervez Musharraf, was in attendance. It is one of the most memorable events for us because we put it together in 3 days including tenting the client's backyard for 200 people! Along with the former President, the Consul General of Pakistan, the Ambassador of Bangladesh and some very prominent American politicians, including Mr. Sheriff Lee Baca, were in attendance. Quite challenging to say the least but it turned out stunning with the regal colors of gold and red. We hope you enjoy! 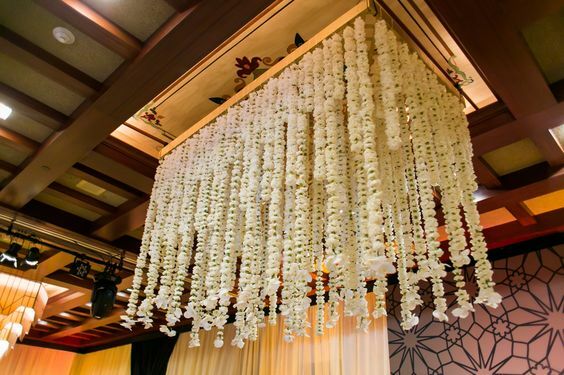 The key words that Shalini and Martin gave to us for the reception were simple and elegant. They wanted to use cheerful, bright colors so we chose a palette of corals, oranges, reds, and turquoises which complimented the room perfectly. We hope you enjoy the pictures! Shalini and Martin were such an amazing couple! Their ceremony and reception were in northern California at the Fairmont Hotel and it was so much fun to create the festive and elegant feel that they wanted. 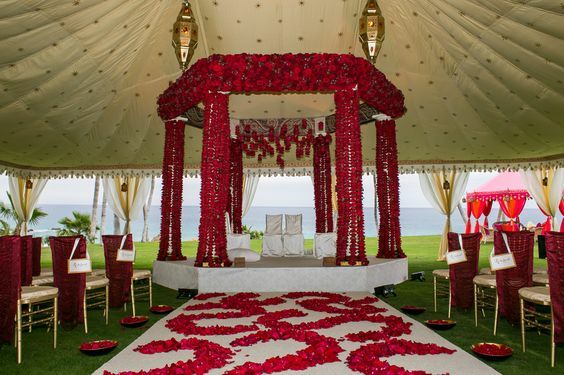 For the ceremony, they wanted to use gold and reds to keep it more traditional which made it a very regal look. Hope you enjoy Shalini and Martin's journey...stay tuned for the Reception! It is nice to go with the seasons for color in weddings, but in all honesty, gold and ivory are timeless and, for the lack of a better word, seasonelss colors. When using the two colors together, it is important not to let them blend into eachother, but rather compliment eachother. 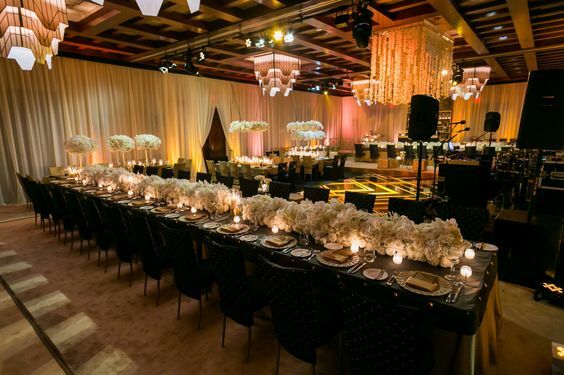 In this case, we used shades of amber lighting to make the gold draping stand out against the ivory floral and linen. The overall look was quite.... exquisite! Thank you Calligaphy by Jennifer – A repost from her blog! 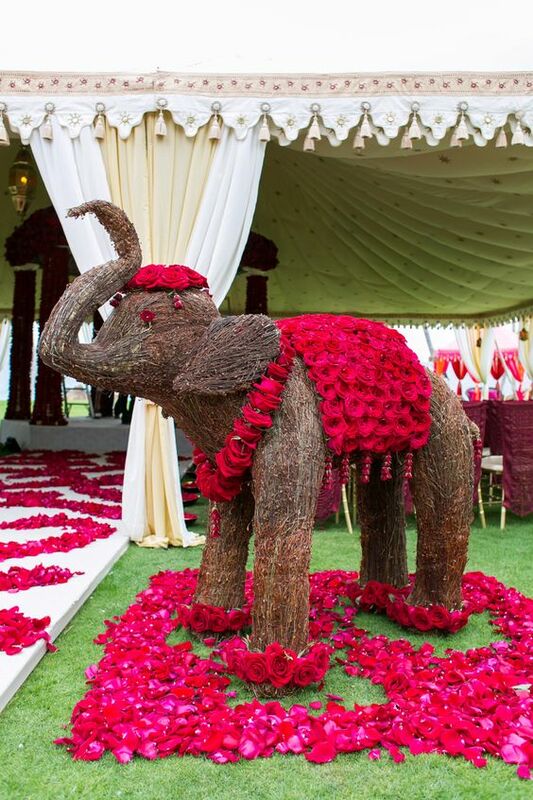 Owner and founder Nikki Khan along with her talented daughter Madiha Khan produce the most intricate weddings to culturally infused celebrations. 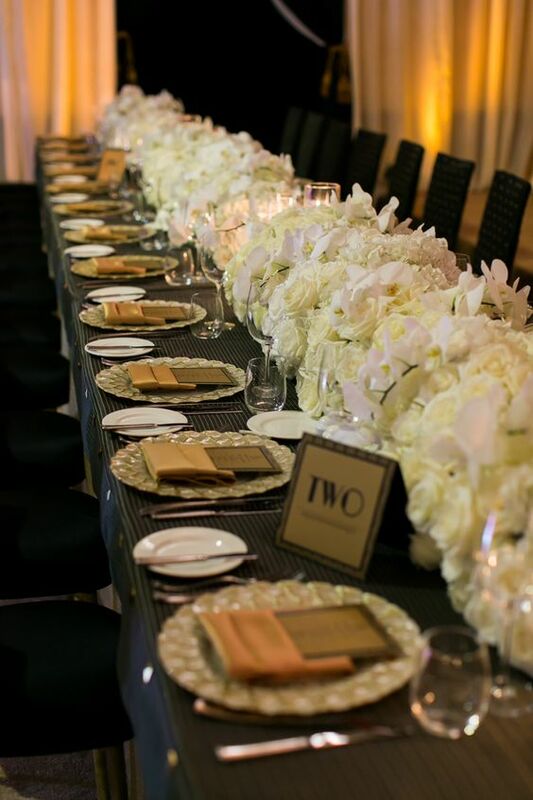 Their experience, talent, and superb sense of style has been recognized in numerous publications including Inside Weddings, Bride & Bloom, Grace Ormonde and more! After long admiring their exquisite work we were anxious to show you theremarkable talent behind their company. Enjoy! 1. What do you love most about your job? Creating wonderful memories for our clients. We love to exceed expectations and look forward to the clients reactions the day of the event when everything has come together. That is the most rewarding moment. 2. Tell us one tip or piece of advice you give to all your clients? 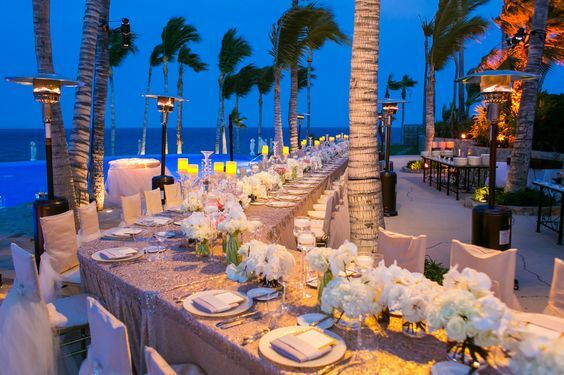 One tip that we would give is to have the event reflect your individual styles and personalities as a couple. Also, enjoy the process of planning! It should be a happy time and not stressful. We are there to make it a smooth process. 3. What inspires you to keep things fresh, fabulous and unique? We get inspirations from various things around us. It could be as simple as nature or fashion. Nikki loves architecture so looking at spaces, interior design magazines, cultural iconic buildings are all inspirational. Madiha loves color and can be inspired by fashion or even the produce section in the grocery store. So many amazing colors there! 4. Share with us one of the most memorable events you took part in and why it was so special. We planned a very private dinner for some dignitaries from all over the world including the ex President of Pakistan, General Pervez Musharraf. This event was planned in 3 days at a private home and was quite challenging because we had to tent the entire backyard and there were weather elements that we had to consider, but in the end, it was a beautiful and successful event. 5. Lastly for fun, what are three things you can’t live without? *If you book Exquisite Events services now and the month of February you will receive a free signed copy of Art of Celebration (a beautiful coffee table book) that their work has been featured in. Check out more of their amazing work below. In January, we had the opportunity to attend The Special Event 2011. Not only did we come back with great new friends but we also gathered so many great inspirations from the Wedding Luncheon Gallery that our industry colleagues worked so hard to put together. We love this vintage Hollywood glamour room with the beautiful draping and dramatic lighting and of course, the color purple! Join us on a tour through the details. These are our Exquisite Inspirations. Hope you are inspired, too! Enjoy! Love this mirrored tabletop that we have used many times at some of our events. Such a dramatic look! You can never go wrong with a little bling! Who wouldn't want to lounge at the end of a party! Posted by Frank Salas Photography , posted on February 5, 2011 Gauree and Ramdev: Exquisite Events Gauree and Ramdev had a beautiful Hindu wedding at The Hyatt Huntington Beach Resort and Spa. They are now featured in the current issue of Ceremony Magazine and we definitely wanted to feature them on our blog as well! A couple days before they also celebrated a Sangeet event with close friends and family. 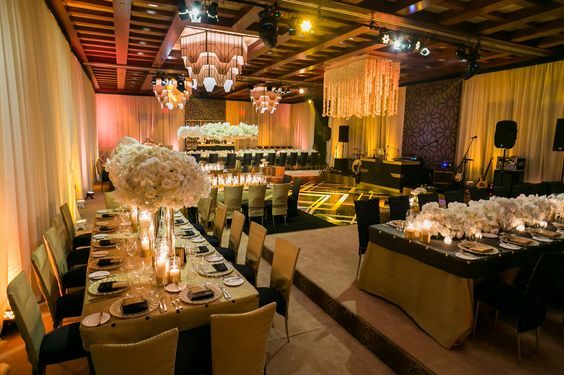 The wedding planner at this amazing event was the ever so nice Nikki Khan from Exquisite Events. She did a magnificent job putting this event together! Also, we worked side by side with April from Robles video. We really enjoy working with April especially because she is the pro when it comes to South Asian events! She’s super nice too! Of course after a 2 hour ceremony the guest enjoyed lots of great hor dourves awaiting what would be a fun night. The entertainment was Ajay from Kumba Entertainment. Ajay really knows is stuff and he keeps everyone on the dance floor all night long! The very colorful flowers were created by the one and only Nisie from Enchanted Florist. Wow, is what we all say when we see how she transforms her events. Below are some of my favorite photos from their day. If any of you have been to a South Asian event you will know that there are literally thousands of photographs. I guess I could blog everyday of the week for a month with all the many great photos we have from this event. Congratulations to Gauree and Ramdev! You both were simply awesome! Tents not only define a space but they are such a great way to add warmth, character, and color to an event. We love to use tents to create ambiance and nowadays you can make them out of any color, texture or design and with the right lighting, a perfect mood is created! 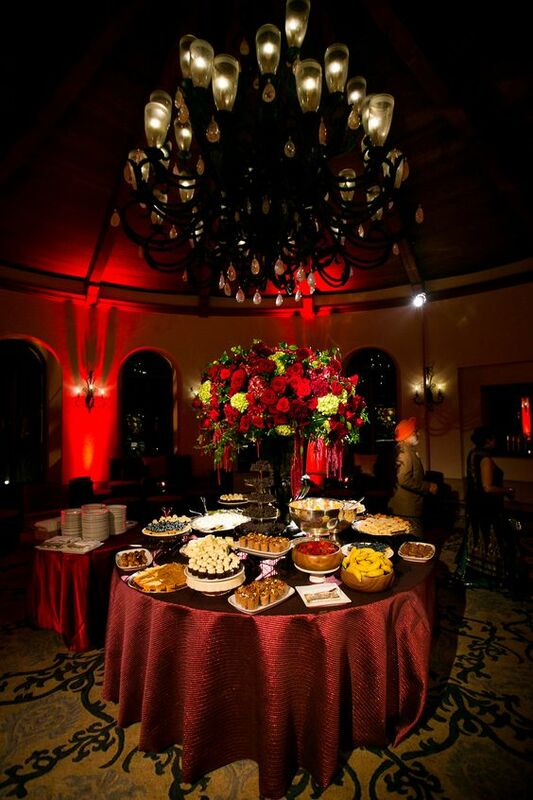 Enjoy some of our Exquisite Events with Tents!